Since opening the doors of the digital life and rewards to users three years ago, freenet today continues to give access to the most exciting rewards and experiences to its users this time through a one-of-a-kind digital concert extravaganza dubbed FREENIVERSAYA: A FREEnet Concert. 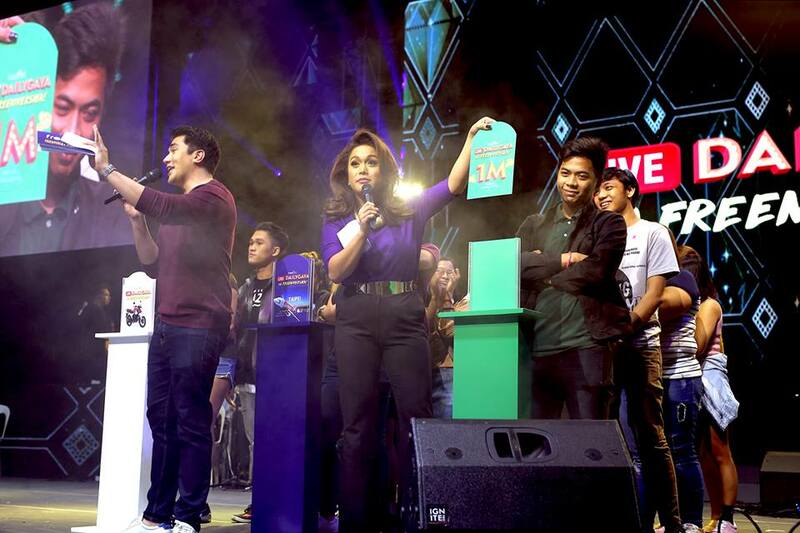 In celebration of the 3rd anniversary of freenet, Voyager Innovations’ free internet and rewards platform, freenetizens were given free and exclusive access to an evening of music, prizes, and celebration at the SM Mall of Asia Arena last September 20. 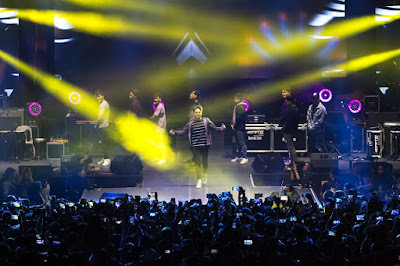 Concert-goers jammed to the hits of the country's biggest OPM artists today: Bamboo, KZ Tandingan, Moira Dela Torre, Shanti Dope, Gloc-9, Ben&Ben, and Hashtags, while Kaladkaren Davila and Luis Manzano brought the more saya by giving away lots of freebies and prizes to the thousands of fans in attendance. 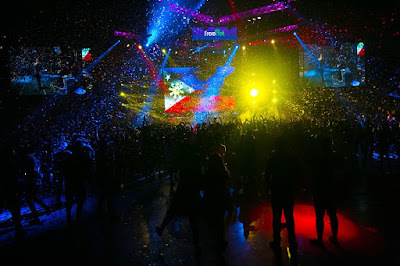 “We'd like to thank all the loyal and passionate freenet fans who joined us during the Freeniversaya: a FREEnet concert! This was a spectacular opportunity for us to give them a truly unique digital experience whether they were with us at the concert venue or even those who tuned in at home via Facebook Live. 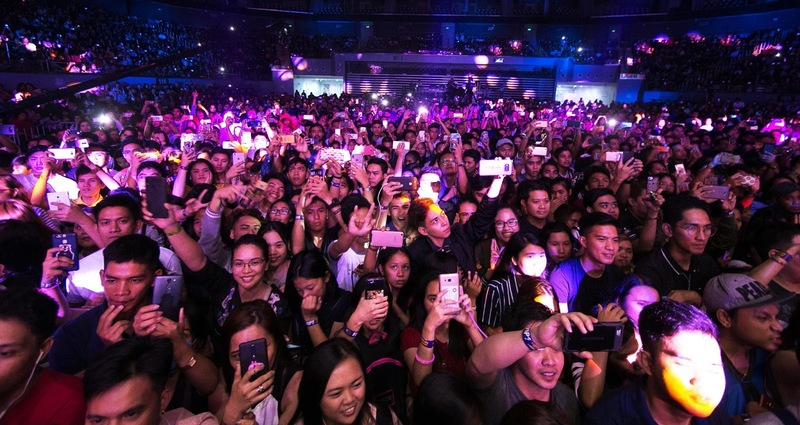 We hope all of them had fun listening to their favorite artists and getting all the free perks, because this is just the beginning of a free, fun, and rewarding life with freenet!" said Dindo Marzan, Managing Director for Marketing Technologies at Voyager Innovations. The digital experience of freenetizens started with getting concert passes by redeeming desired tickets in the freenet shop using the freenet points they have collected over the past months. These points are earned once they complete in-app missions which include visiting sites, downloading apps, as well as referring their friends to freenet. During the concert, paying for food and drinks was also a breeze thanks to the quick and easy cashless transactions brought by PayMaya QR. 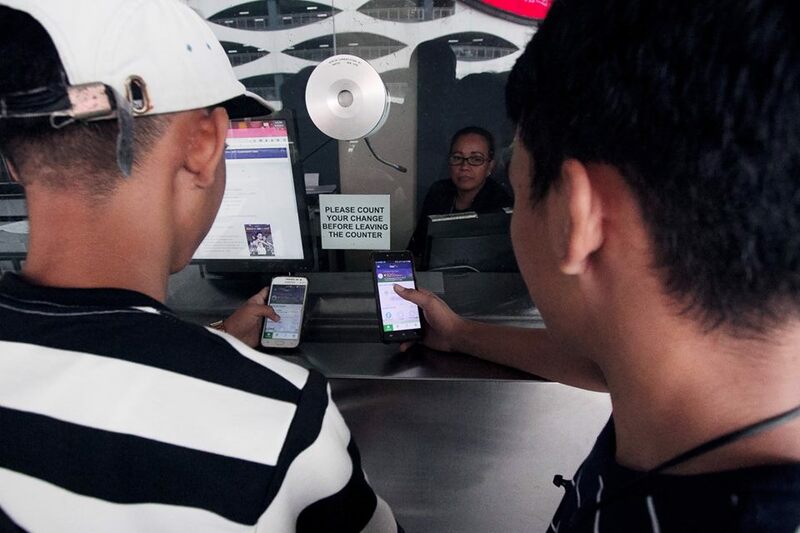 Concert-goers were able to pay for refreshments from various merchants inside the venue using only the PayMaya app installed in their smartphones. Freenetizens who used PayMaya QR were not only able to pay conveniently, but they were also surprised with instant rebates ranging from P9 to P999 with just a minimum purchase of P99 at participating merchants during the concert. But the digital fun didn't stop at the concert venue, because freenetizens from all over the country were also given free access to the Freeniversaya experience through Facebook Live, so they can listen to the songs and jam to the hits of their favorite artists wherever they may be in the country, united under the hashtags #Freeniversaya and #GrabeAngSaya all throughout the night. 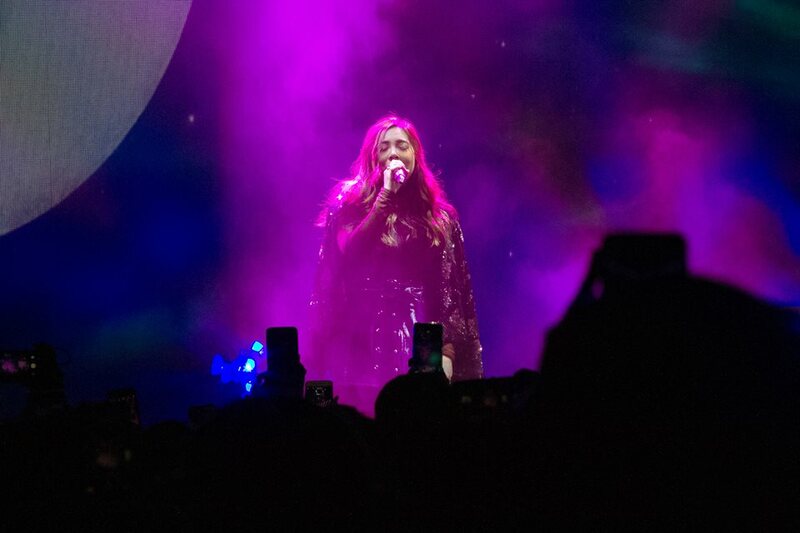 But for those who were lucky enough to join the concert live on September 20, they were treated to an evening of not just musical spectacle, but exciting perks and rewards as well from freenet, PayMaya, Lendr, Smart Padala, and many other brands. For one, select freenetizens at the audience were able to join a special edition of the Dailygaya Raffle Promo where three lucky winners were each able to take home one of the following prizes: a brand-new Yamaha SZ16, roundtrip tickets for two to Taiwan, and 1 million freenet points, which the winner can use to redeem endless rewards at the freenet in-app shop including airtime load, data packages, gaming pins, and many more. 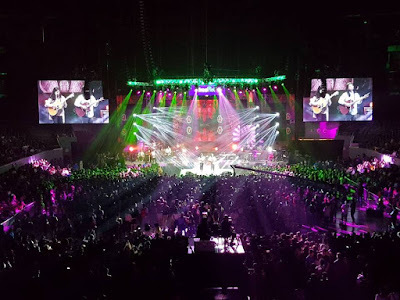 In addition to this, three lucky freenetizens from Luzon, Visayas, and Mindanao were also given the VVIP experience during the Freeniversaya concert complete with VVIP tickets plus a backstage tour before the show, hotel accommodations, as well as roundtrip tickets for two to those who live in the provinces. Throughout the night, freenetizens enjoyed one reward after another. Concert-goers were treated to an exclusive prepaid load flash sale courtesy of PayMaya. All PayMaya users were given 30 minutes to get a 100% cashback on their prepaid load purchases worth P20 via the PayMaya app. “I think it's an understatement that we really went all out in giving exclusive perks and prizes to all freenetizens during our anniversary concert. We really want to drive home the message that it's really more fun and rewarding to be a freenet user. To our freenetizens, watch out as we have a lot in store for our dear community, ” added Heidi Garayblas, Associate Marketing Director at Voyager Innovations. Throughout its three years of giving a free and rewarding experience to more than 8 million Filipinos nationwide, freenet has definitely become one of the go-to apps of mobile Internet users, making it the top free lifestyle app and a consistent trending app in the same category on Google Play. To make sure you don't miss out on these exclusive perks, prizes, and even more surprises, download the freenet app on the Google Play Store or the Apple App Store today! For updates, follow @freenetph on Facebook, Twitter, and Instagram, and visit www.thefreenet.com for more information.